Found one file extension association related to 3Doku for Mac and 1 file format developed specifically for use with 3Doku for Mac. 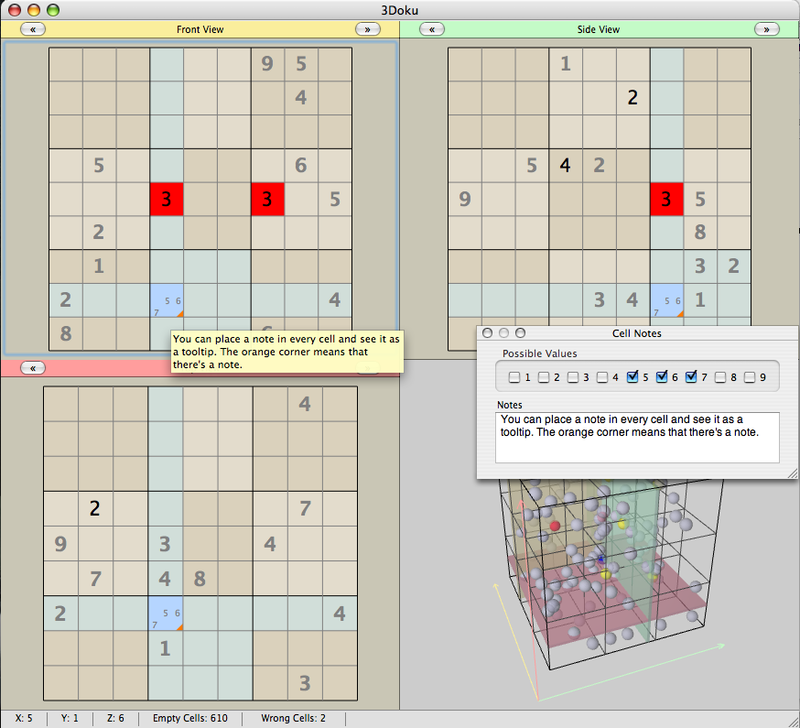 3Doku brings the traditional Sudoku game to the third dimension. In a 9x9x9 cube, 27 Sudoku schemas intersect one another along the three axis. Every 9x9 bi-dimensional schema must be solved keeping in mind that every single cell belongs to the selected schema and also to the others two placed on the orthogonal planes. If you need more information please contact the developers of 3Doku for Mac (Simone Tellini), or check out their product website.